They say that 82.3 percent of statistics are made up on the spot. Watching the video released by Gasland star Josh Fox this week – cleverly titled “The Sky is Pink” — one wonders whether that figure might be in need of a slight upward adjustment. Set aside the distracting, out-of-focus camerawork and characteristically creepy, overwrought narration, and the argument that Josh and his team attempt to put forth goes something like this: No natural gas well is safe. All of them fail and leak. And most damning: Industry studies and memoranda – memos previously buried in industry “drawers” — prove it. Memos so confidential, it took us a full three minutes to find them online (more on those later). In fairness, Fox doesn’t say that every well is destined for failure. In a column submitted to the USA Today last summer, Fox argued that five percent of wells experience “an immediate failure of the concrete casing.” Eight months later, in February, that figure had jumped eight-fold, with Fox telling DemocracyNow! that “casing that protects the groundwater cracks in 40 percent of the cases.” That same month, he suggested to Al Jazeera that the actual failure rate was closer to “50 percent” (20:16). In his new film (09:23), he settles on a new number: 16.7 percent. Hey, at least we’re improving, right? Of course, not mentioned anywhere in the new 18-minute film is the Aug. 2011 report issued by the Ground Water Protection Council (GWPC), a study that draws on real-world field data and case descriptions from regulators representing two of the most heavily drilled states in the country: Texas and Ohio. According to that study, more than 220,000 oil and natural gas wells were drilled and completed (fractured) in these two states over the past 25 years, 16,000 of them horizontal wells targeting deep shale formations. Take your pick from any of the failure rates that Fox has cited over the past year: If he’s right – or even close to right – shouldn’t there be thousands of confirmed cases of water contamination from faulty wells and compromised casings? Unfortunately for Josh (but fortunately for everyone else), the GWPC report tells a very different story. According to the report, available here, more than 34,000 wells were drilled and completed in Ohio over a 25-year period from 1983 to 2007. In total, 184 incidents were recorded over that span in which oilfield activities – all categories – were found to have contributed to an adverse impact to groundwater. That’s one incident for every 184 wells drilled. Break the numbers down further, though, and you find that of those 184 incidents, only 12 were related to failures of or gradual erosions to casing or cement. That’s one recorded incident for every 2,833 wells drilled, representing a failure rate of 0.03 percent. And according to the report, greater than 80 percent of all incidents happened in the 80s and 90s – with very few problems registered as modern technology and updated regulations came online over the past decade. Of note: not a single event relating to the fracturing process was found to have affected groundwater. Stimulation by hydraulic fracturing has been a routine part of completing most oil and gas wells in Ohio since 1951. During the study period (1983-2007), the DMRM estimated that 27,969 oil and gas wells were stimulated by hydraulic fracturing. … During the 25 year study period, the DMRM did not identify any groundwater contamination incidents caused by hydraulic fracturing. So that’s the story in Ohio, how about Texas? According to GWPC and the Texas Railroad Commission, more than 187,000 wells were drilled and completed in the Lone Star State from 1993 to 2008, including 16,000 horizontal wells. Two-hundred and eleven cases of groundwater disturbance tied to oilfield activities were recorded in that span, or one incident for every 889 wells drilled. Just as in Ohio, none of those were related in any way to hydraulic fracturing. And very few were generally related to the integrity of the well either – a total of 21, according to the report. That boils down to an error rate of 0.01 percent – a far cry from the estimates put forth by Josh and his gang. Speaking of those estimates: from whence did they actually come? In his video, Fox cites five “industry” documents – memos and PowerPoint presentations he says reinforce his view that mass well failures are not only a common occurrence, but an inevitable one. In the film, he says these documents “fell off the back of a truck” (07:35) – implying that they were previously kept secret, locked away in the “drawers” of the industry (presumably he means the wooden variety!). In fact, every one of these documents is readily available online – here, here, here, here and here. As you can see, most of them are modeling papers; short, technical commentaries in petroleum engineering journals (some more than a decade old) that deal with best practices mostly in the context of well integrity issues (in abandoned wells, mostly) far offshore. In one such document, prepared almost a decade ago, and which essentially runs as an advertisement, the authors argue that their products can help operators reduce casing pressure volumes in the Gulf of Mexico. To Fox, this represents evidence of well failures en masse. But as any legitimate petroleum engineer will attest, detection of pressure in a casing string doesn’t necessarily mean that the well doesn’t work – and it certainly doesn’t portend environmental ruin. Thanks to remedial actions referred to in the industry as “work-over” activities, these issues are commonly and easily addressed. Which is why, in contrast to what Fox says, it’s simply not the case that thousands of wells are failing every day, contaminating tens of thousands of potable water sources. No matter how much he may wish it were so. Another document that elicits great excitement in the Fox video is a PowerPoint deck delivered by Mark Boling of Southwestern Energy in Nov. 2010 – a presentation in which EID’s Lee Fuller and Scott Anderson of the Environmental Defense Fund also participated. As you can see in the video of the event itself, there were no earthshattering revelations that came to light on this panel. 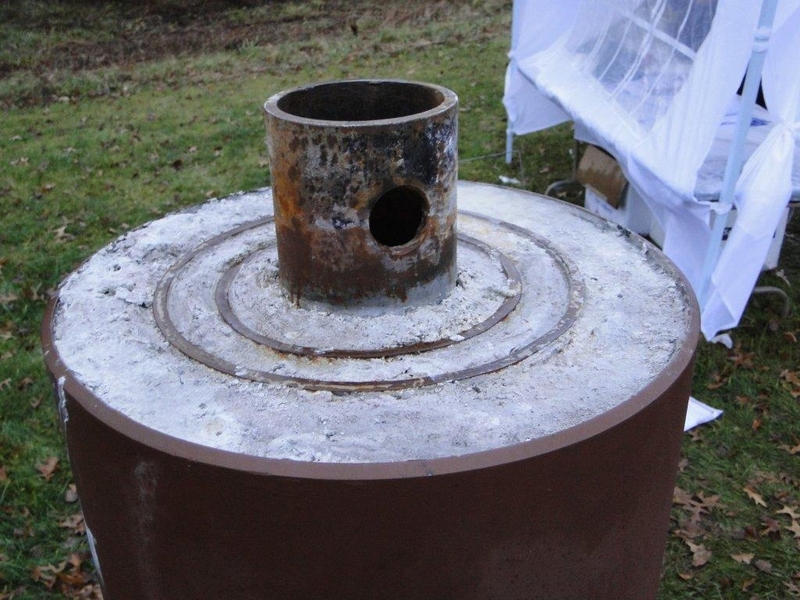 It is indeed true, as Mr. Boling indicated, that a well that’s improperly cased and/or cemented can in rare cases act as a conduit for methane gas (which is not considered a health threat by EPA) to migrate into formations where it otherwise wouldn’t belong. No news there. Of course, that’s true whether you’re talking about an oil well, a gas well, a geothermal well, or a well that’s intended to produce water. But in a typical sleight-of-hand, Josh represents these remarks as major, monumental news – suggesting in his video that the same conduits that could allow methane to migrate are also allowing fracturing fluids to emerge from two miles down up into potable drinking water supplies above. Of course, no mention of any of this is made in the film released this week. But then again, the film’s really not about hydraulic fracturing, is it? A quiet concession by Fox, perhaps, that his previous strategy of focusing his entire campaign on attacking a well completion technology with a demonstrable, 65-year track-record of safety probably isn’t the best play moving forward. Faced with what’s become a mountain of evidence and steady stream of credible testimonials that directly contradict just about every single thing he says, Fox has decided to double-down on his thesis, continuing to fly around the country (and even the world) with an eye on promoting his upcoming sequel to Gasland. We suppose that’s his right. But that doesn’t mean he is right. In this case, as it turns out, the sky is actually pink – presaging the twilight of a national campaign that, from the start, has been built on a foundation of distortion and disinformation. Or, at least, isn’t it pretty to think so?